THE BEST PLASTICIZER is hands-down the best plasticizer we have used in 15 years of making high-end concrete products for clients. It is a modified polycarboxylic ether optimized for plastification. It offers very fast dispersion with exceptional water reduction capabilities. It is highly efficient at low dosage with mild-to-low retardation at higher dosage rates. This means you get improved high early strength development. And last but not least, it is a powder which makes shipping and storage in winter months much easier. All-in-all if you want to make the best concrete you need to use THE BEST PLASTICIZER! THE BEST PLASTICIZER is dosed at 0.1% - 1.0% based on Portland Cement. I have found that 0.2% is a good starting point and is often sufficient for a very flowable self-consolidating concrete mix. You should always try to keep your concrete mix around 60°-65°F / 15.5°-18.3°C. You do this by replacing a portion of your mix water with ice - how much changes with the seasons but it is good practice to keep a log with the date, shop air temperature, and the amount of ice used in your mix so you can better dial-in the amount of ice required. As always, every mix and shop are different so you should run tests to determine the best loading rate before using THE BEST PLASTICIZER on a client project. For example, if your mix calls for 23.5 lbs of Portland Cement and you are going to dose the THE BEST PLASTICIZER at a loading rate of 0.2% you would multiply 23.5 x 0.002 = 0.047 lbs of THE BEST PLASTICIZER (at such small amounts I like to convert it to grams for precision when batching, so 21g). 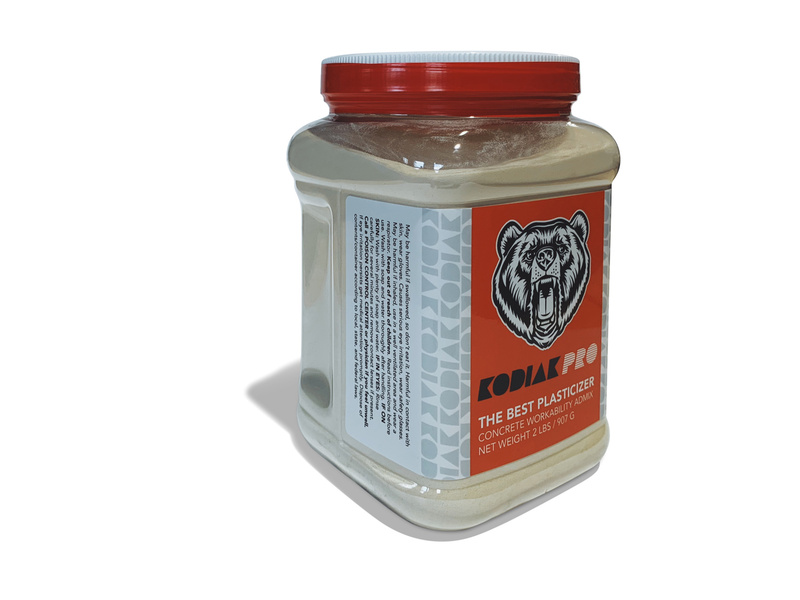 Kodiak Pro's 'THE BEST PLASTICIZER' is truly the best plasticizer you can buy for high performance concrete, GFRC, ECC, and UHPC countertops and sinks. 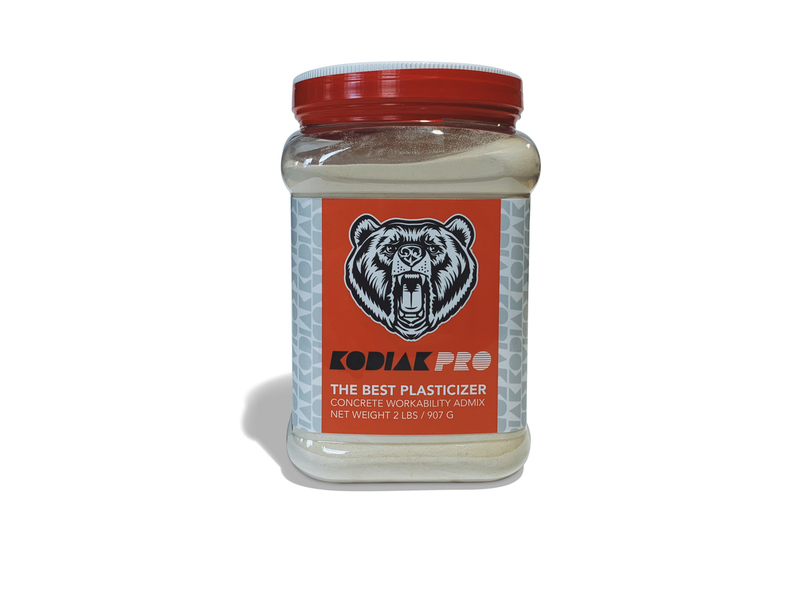 Not all concrete water reducers are created equal - when you want to make the best, use the best, Kodiak Pro. Do you need a high quality concrete super plasticizer for your project? 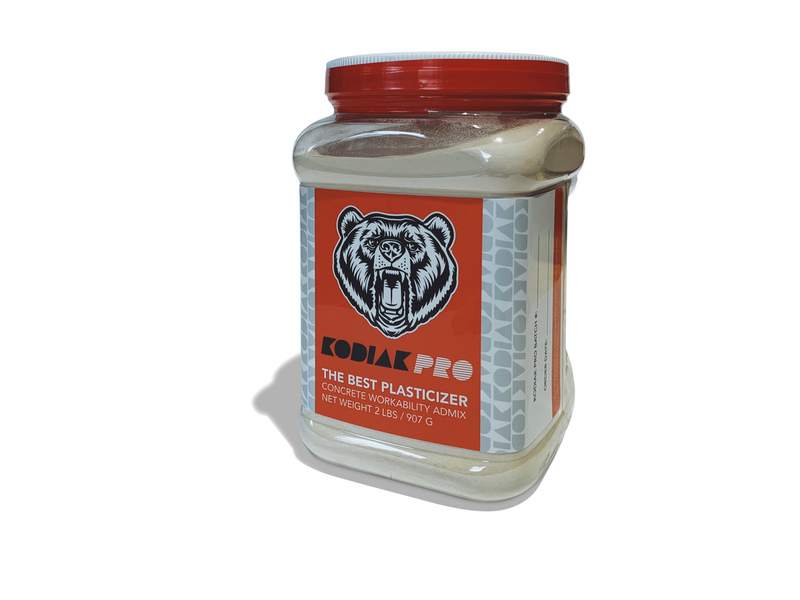 Use Kodiak Pro's 'THE BEST PLASTICIZER' for professional results.